The Mexican state of Baja California Sur occupies the lower half of the Baja California Peninsula from the 28th parallel to the southern tip or “Land’s End”. It is bordered by the state of Baja California to the north, the Pacific Ocean to the west, and the Gulf of Mexico, or “Sea of Cortez”, to the east. 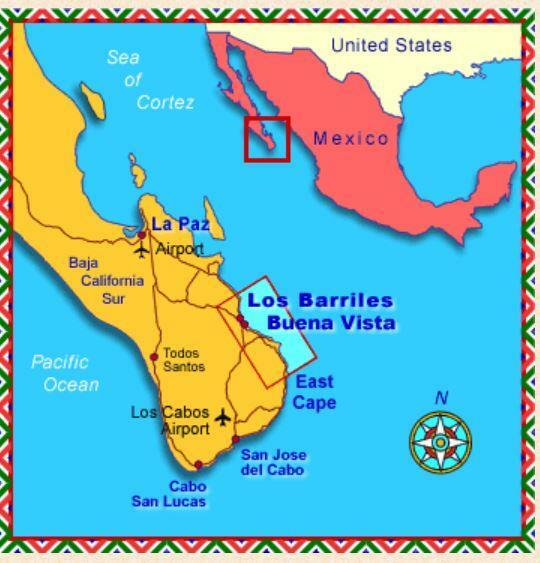 Los Barriles is located on the eastern coast in an area referred to as Cabo Este (East Cape) about halfway between Cabo San Lucas and the charming capital in La Paz. Both those cities host international airports, the nearest (SJD) being less than an hour drive from Los Barriles. With less than 10” of rain a year, Los Barriles easily qualifies as desert. However, during the fall it is not uncommon to get a good downpour that truly brings the desert to life. Temperatures average between 63º and 84º Fahrenheit making it comfortable year-round. We do experience a hurricane from time to time and precautions like hurricane screens should be taken during late October and September. Many residents use this time of year to visit family and friends in the U.S. The population of the entire state is ~740,000, the largest city being La Paz. 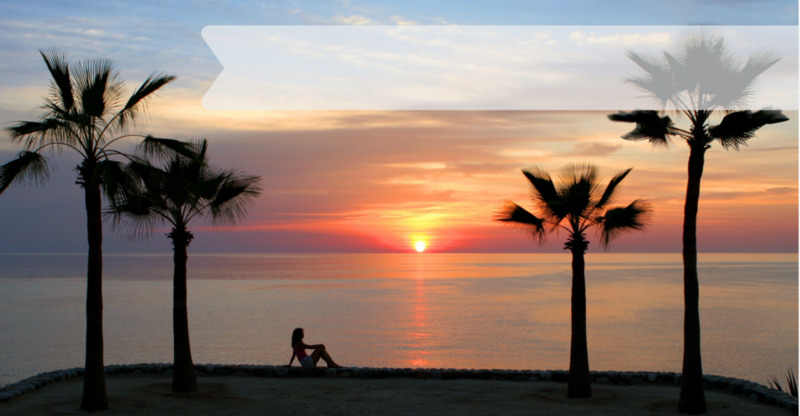 Cabo San Lucas and San Jose del Cabo (together referred to Los Cabos) are the second largest concentration with many part-time foreign residents. Los Barriles has a population of roughly 5,000 about half of which are locals and half expatriates here full or part time. Many ex-pats are active in the local community sponsoring extra curricular activities, scholarship programs or participating in one of the local churches. These opportunities to get to know the locals truly enrich the living experience here. You can get a box locally in Los Barriles which will allow you to have US/Canadian mail forwarded to you from an address in San Diego, CA. You'll also find a full-size grocery store, fresh tortillas at the local tortilleria and if you didn't have any luck on the water, fresh fish at the local fish market. Dining options include everything from fish tacos under a shady palapa to gourmet Italian cuisine with linen table cloths. A bank with English-speaking help, 2 gas stations, a full-serive health care clinic, a dentist, hardware store and veterinarian are just some of the services that make this an easy place to live. The pace of life is relaxed here. You can often stroll the beaches of Los Barriles without encountering a soul or head into one of the local hot spots to get caught up on the local news. There are many opportunities for socializing and supporting worthy causes. We even have our own Rotary Club.